are a species in EarthBound and Mother 3 and serve as the unofficial mascot for the trilogy. 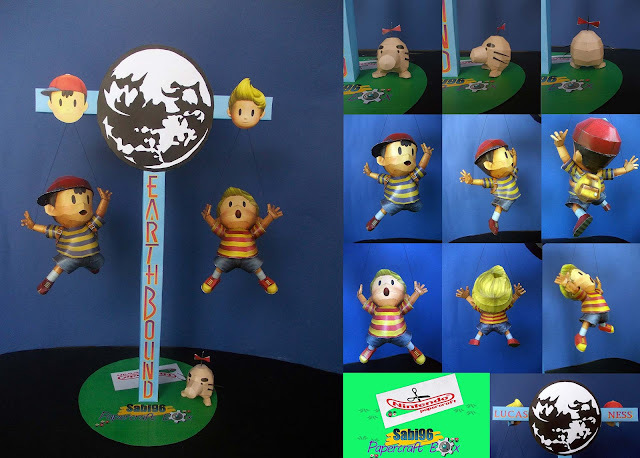 They are strange, possibly extra-terrestrial life forms who reside in both Eagleland's Saturn Valley and the Nowhere Islands's Saturn Valley in EarthBound and Mother 3. Instructions : Just follow the numbers. The stand has no particular order, therefore it isn't numbered. Notes. Ness and Lucas each have an alternate set of hands. Each hand is 2 parts, consists of 2d fingers and 3d palms. You can use these parts on your build if you think that the fingers would be hard to build.